However, from the darkness of this disheartening testimony, Paul highlights an alternative light in the person of his dear friend Onesiphorus. 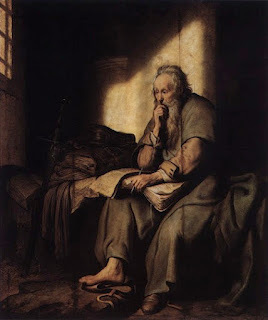 Though hampered by the likely transfer of Paul from the Roman official penal system to a private, and more remote private prison facility, Onesiphorus would not give up his search until he had found his Pastor/Apostle. Now Paul contrast the unfaithfulness of those who abandoned him with his, now deceased, friend. The emphasis here is the one does not have to be great, or most intelligent, or most prosperous to be an encouragement - availability and determination are the sure resources.